When Computer Reach adopted its name, no one could have had any idea just how far that “reach” would extend. And yet, our most recent initiative—to deliver computers to the Kwaio people, an indigenous group living in a remote area of the Solomon Islands—is dramatic proof that our mission is indeed a global one and that we are capable of sending our computers wherever there is an urgent need. 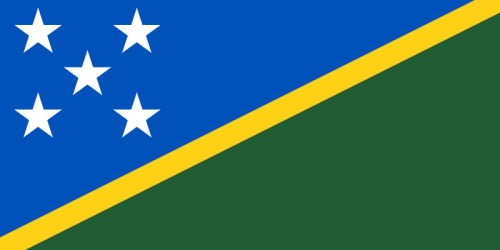 In the case of the Kwaio people, one of 80 indigenous groups in the Solomon Islands, there is a strong interest, particularly among its young people, in preserving its culture, not because the Kwaio are in danger of dying out but because they want to promote “the Kwaio way of doing things” in the face of pressures from the modern world. The Kwaio people were in desperate need of computers at an affordable price in order to archive a vast amount of accumulated materials (about 50,000 files at present) that include field notes, interviews, photographs, films, geneaologies, and thousands of documents mostly from the colonial period. They also plan to produce a Kwaio dictionary with free access to all Kwaio people, an auxiliary project that will be facilitated by computers. Many of these materials had been collected by a famous anthropologist named Roger Keesing, who had worked in Kwaio for five years. Upon his untimely death, all of his materials were moved to the University of California at San Diego, which was anxious to repatriate them to the Kwaio community. An anthropologist from the University of Michigan named David Akin was asked to oversee the organizing of the materials. Akin, who has spent six years in Kwaio and is fluent in the language, devoted several months to the massive task of organizing the materials, which UCSD subsequently digitized, so that they could be easily transmitted to the Kwaio community, eliminating numerous logistical problems. The archive also includes many documents produced by Akin from his work with Kwaio people. The Kwaio Archive is the first community-run archive in the Solomon Islands and may serve as a prototype for others. The community found funding for a permanent structure to house the archive that will be powered by solar energy and plans to expand into two more locations on the coast. How Computer Reach came to be involved with the Kwaio Archive Project is a testament to the power of networking on a global scale. It began with a phone call to Joe Mertz, a professor at Carnegie Mellon University, from Maya Fischhoff, a colleague of David Akin, describing the involvement of Akin in the archive project, and asking if Mertz knew of anyone who could supply some desperately needed laptops at an affordable price so that Solomon Islanders could access the digital archives on their own. Mertz immediately recommended Computer Reach, opening up a dialogue between Dave Sevick and David Akin that has resulted in five computers being supplied to the Kwaio Archive Project. Our computers will make it possible for the Kwaio community to assume full control of the archival materials acquired to date and to gather their own audio, visual, and written materials for the archive. It is remarkable proof that a few computers can make a world of difference.